Kina, professor of art, media and design at DePaul University, will present at 5 p.m. Tuesday, April 5, in the Duke Ellington Ballroom of the Holmes Student Center. All students, faculty, staff and community members are invited to attend. Kina also will speak to students in NIU Professor Judy Ledgerwood’s Asian American Cultures class. She is a fourth-generation, multiracial Okinawan American based in Chicago whose artwork focuses on themes of distance, belonging and cultural reclamation. She will talk about her recent “Sugar” series of oil paintings and her new textile-based solo show, “Uchinanchu,” which both explore individual, family and communal Okinawa-Hawaii diasporic identities, histories and politics. Her “Uchinanchu” solo exhibition is currently on view at Cal Poly Pomona’s Kellogg University Gallery. 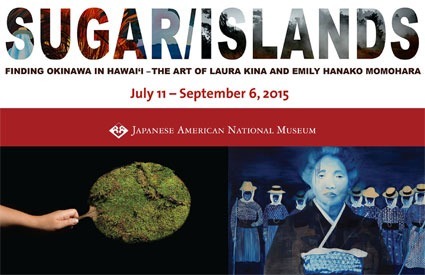 “Sugar/Islands: Finding Okinawa in Hawaiʻi – the Art of Laura Kina and Emily Hanako Momohara” recently was on display at at the Japanese American National Museum in Los Angeles. For more information, call (815) 752-1177 or email AsianAmericanCenter@niu.edu.